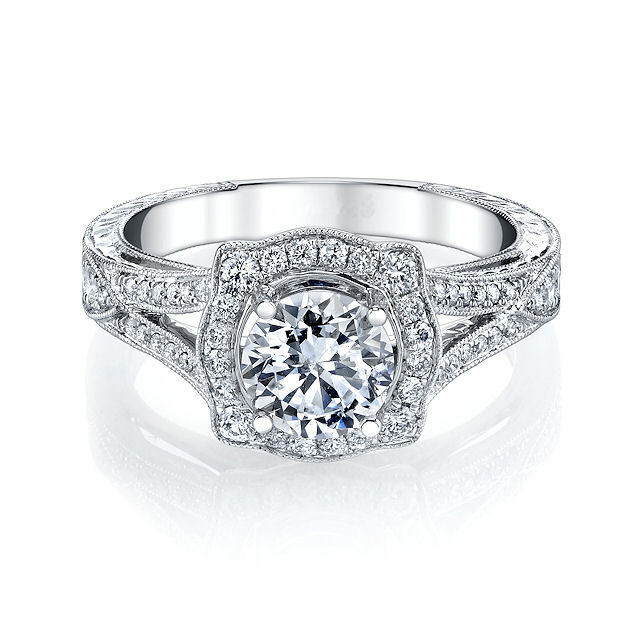 Platinum, vintage, halo diamond engagement ring. There are about 82 round brilliant cut diamonds set in the ring with 2 round brilliant cut genuine sapphires on the sides. 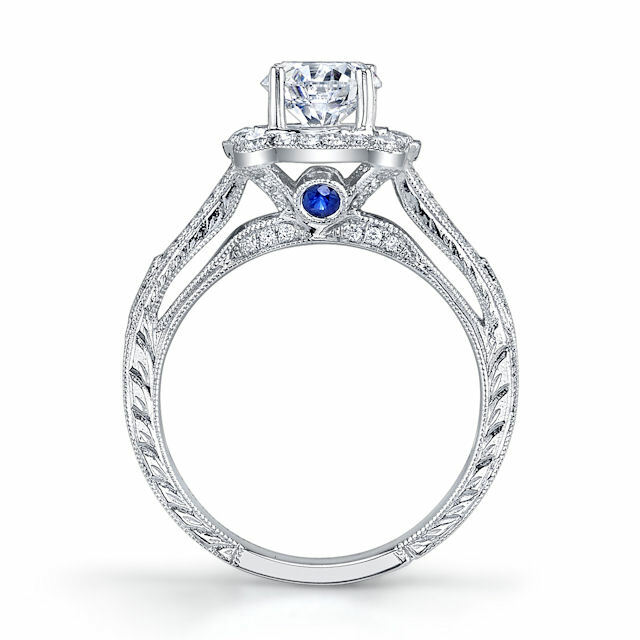 The diamonds are about 0.51 ct tw, VS1-2 in clarity and G-H in color with 0.10 ct tw genuine sapphire. Center stone is sold separately and in different sizes. 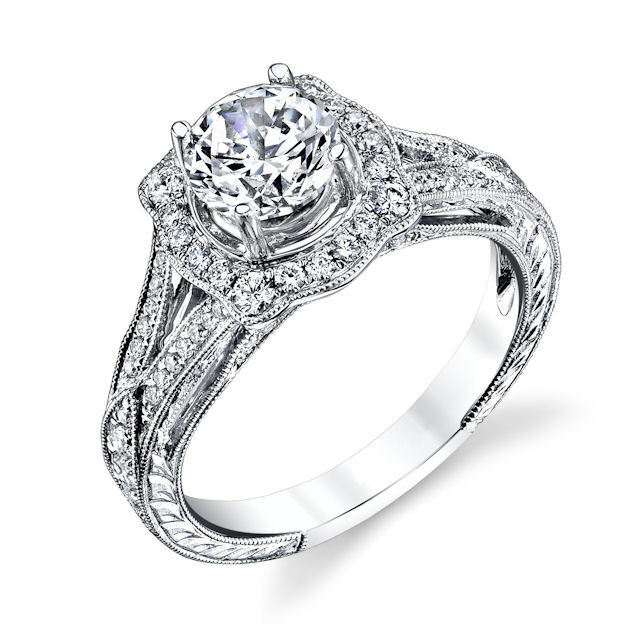 Pictured here is a 1.25 carat diamond.